Happened to catch the nest building. A very good series of photographs Carol. But now madam, you will have to keep us all updated on the natural progression of all this nesting. Mum and dad coming home with food, chicks being fed at the entrance, and finally 1st flight !!! Looking forward to the photos. I definitely will! 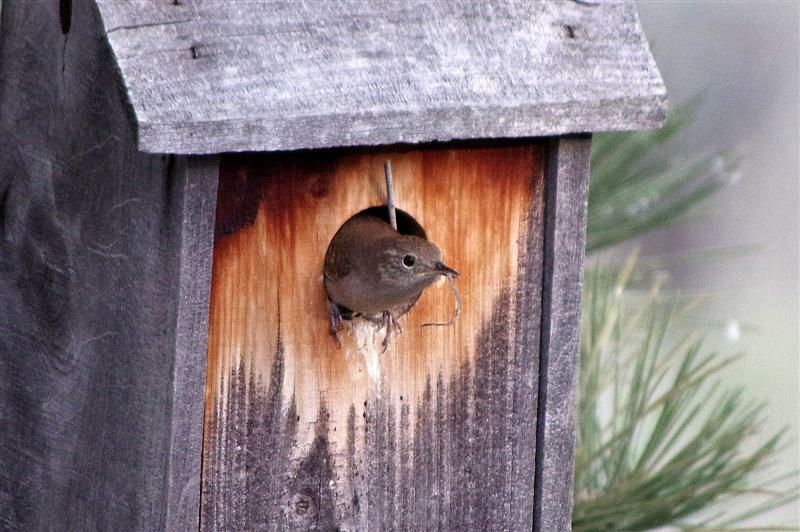 I wish this was one of the boxes that I have, that I can lift the side out to see the next, but this is one of my older ones; and I won't do anything to disturb mom & dad when they have the eggs. 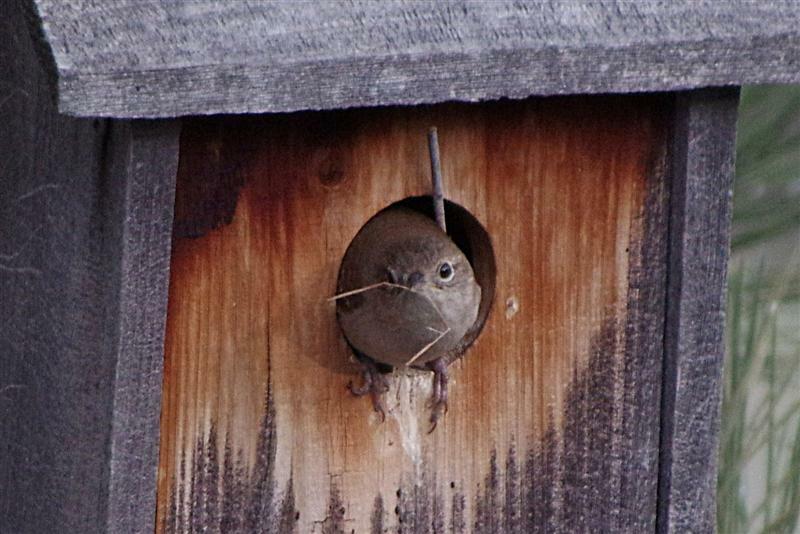 It is absolutely amazing how much work birds do, to make their nests! Nature is wonderful! 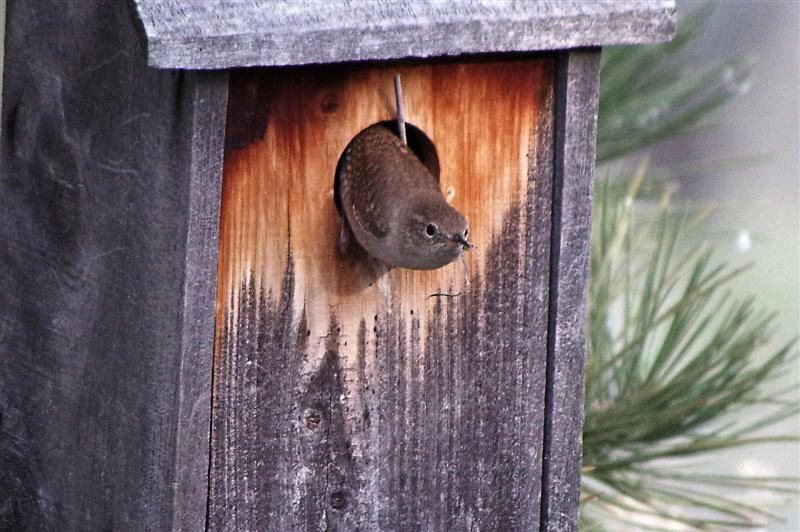 BTW, I believe this is a House Wren. Last edited by csa; 05-18-2016 at 06:25 AM. Busy little bird. 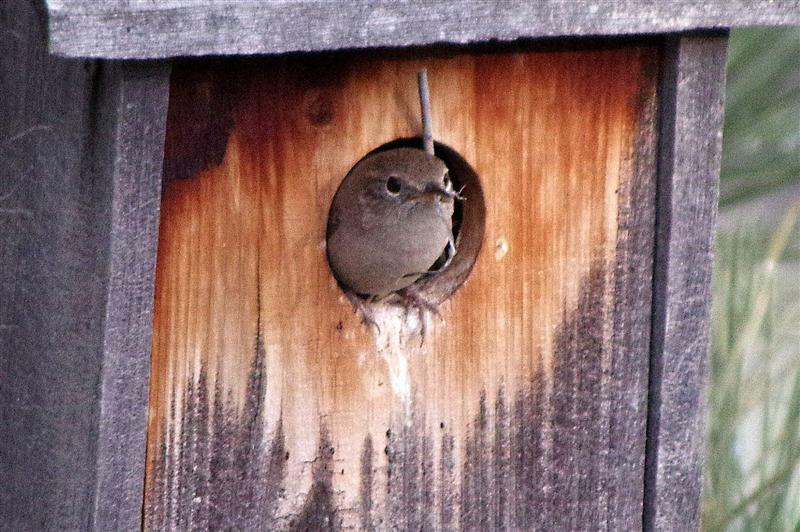 Hope you get to follow along and see the fledglings too. Thanks Susan! Yes I'll be following the progress; I have a clear view from my large kitchen window of the birdhouse! Telephoto lenses are so wonderful, that one can get up close to wildlife and not disturb them! Cute ..and a nice home ! Jansee: Thanks for looking, and your nice comment! daacon, thanks! That birdhouse is very special to me. It was given to me by a very close friend that had been built by her husband, that was deceased. She also is gone now, so the birdhouse is a wonderful memory of both of them.